This shop has been compensated by Collective Bias, Inc. & its advertiser. All opinions are mine alone. #DiscoverTorrance #CollectiveBias The following content is intended for those 21 older. Sometimes all you need is a getaway. Sometimes all you need to get away is to go a little further than usual. Rather than explore our own county, Fred & I ventured up to Torrance, California for a 24-hour trip. Torrance is in the heart of Los Angeles County's South Bay, just 15 minutes south of LAX & close to many of Southern California's most popular attractions. 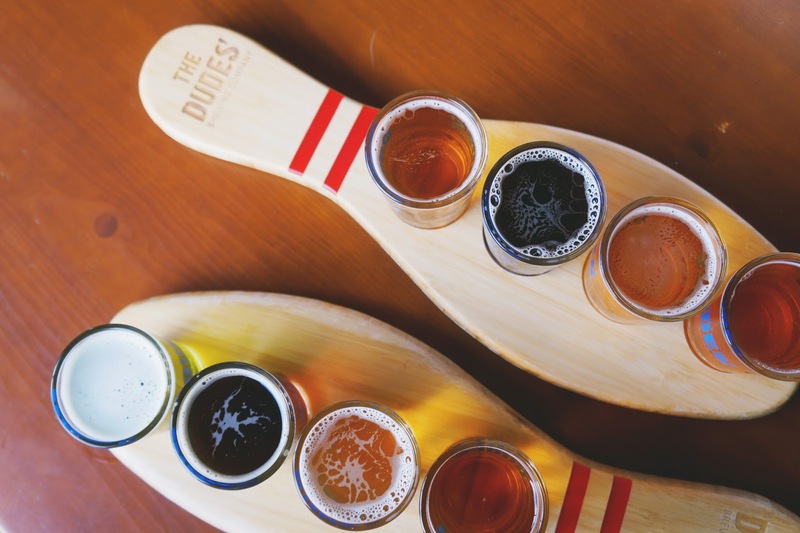 Whether you want to shop until you drop, head to the beach, or sample as many beers as your heart desires, Torrance has a range of things to do. You can easily spend a full 24 hours or weekend in town, so if you're wondering how to spend 24 hours in Torrance, you came to the right place! Grab a quick lunch. There are a ton of delectable eateries nearby. I got the Californian bowl at Yellow Fever, which came with baked organic tofu sausage (tastes like a vegetarian version of chorizo), Asian slaw, mushrooms, kale, avocado, quinoa, & vegan house dressing. Torrance has a variety of international food stops like Mitsuwa Marketplace (Japanese), Habana Vieja Cuban Cuisine & Cafe (Cuban), King Mediterrano (Greek), & plenty of ramen too. Enjoy the exceptional Torrance weather & stay outside. There's no shortage of soothing views. 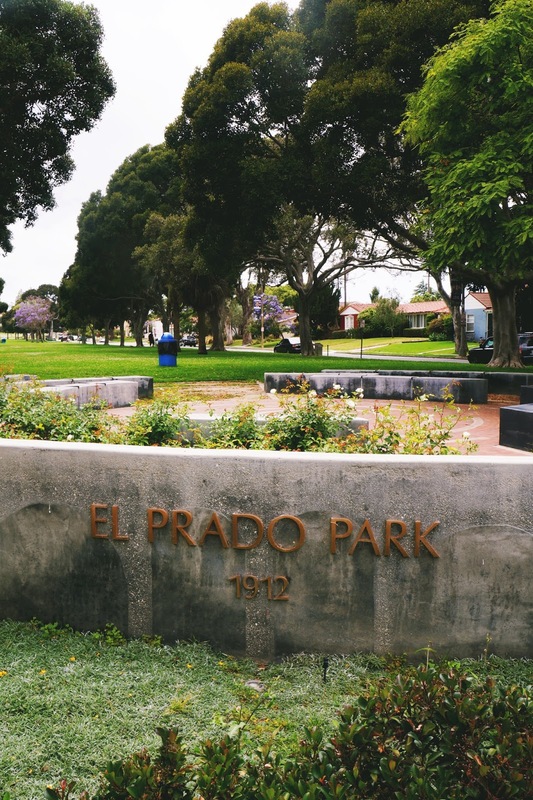 Check out El Prado Park, Los Arboles/Rocketship Park, Madrona Marsh Nature Center, Wilson Park, & more. The South Coast Botanic Garden is nearby & worth a trip. We particularly loved the Garden for the Senses section. Torrance has a popping craft beer scene. We visited The Dudes’ Brewing Company & HopSaint Brewing. I recommend getting a flight so you can test out flavors. Get a feel for a range of a brewery's beers without committing to a whole pint. There's also Monkish Brewing, Smog City Brewing, & many, many more! 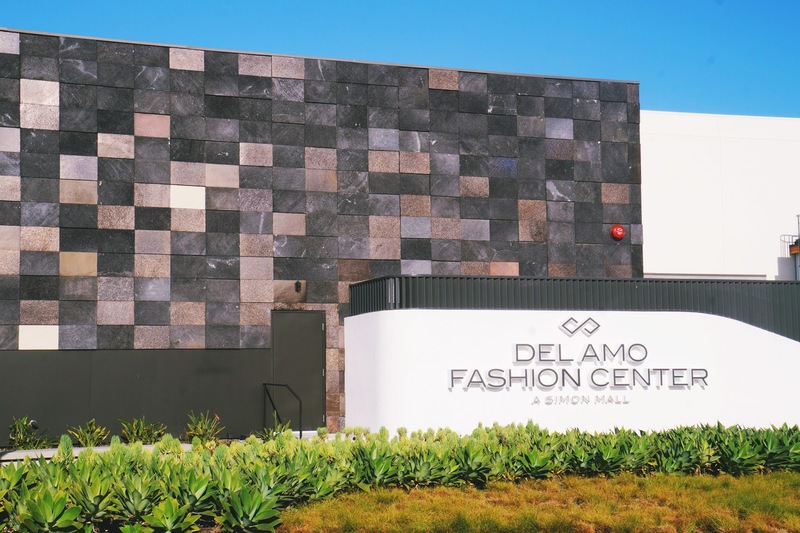 If you want to get your shop on, visit Del Amo Fashion Center. It's absolutely enormous. Fred & I may or may not have gotten lost. Okay, we totally got lost. It's that big. It's also very pretty. I've never said a mall was pretty before, but it is. I did a mini photoshoot by a full plant wall. 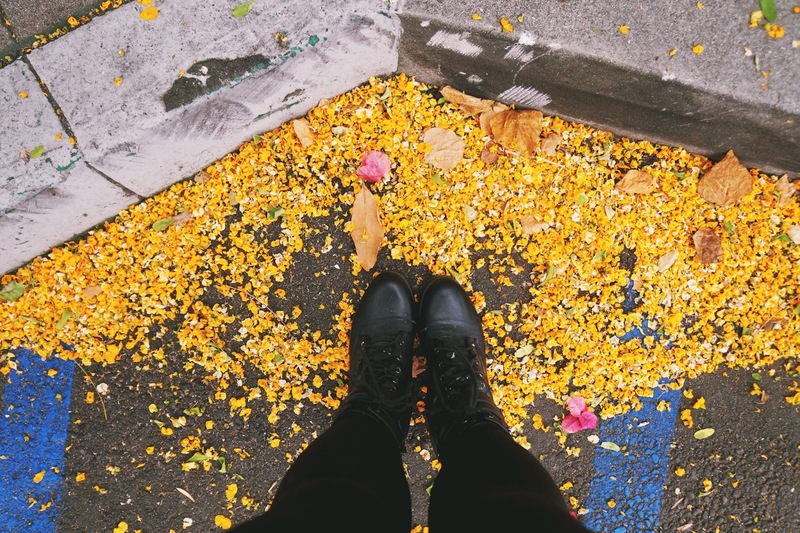 After you're done shopping, explore more of the food options Torrance has to offer. 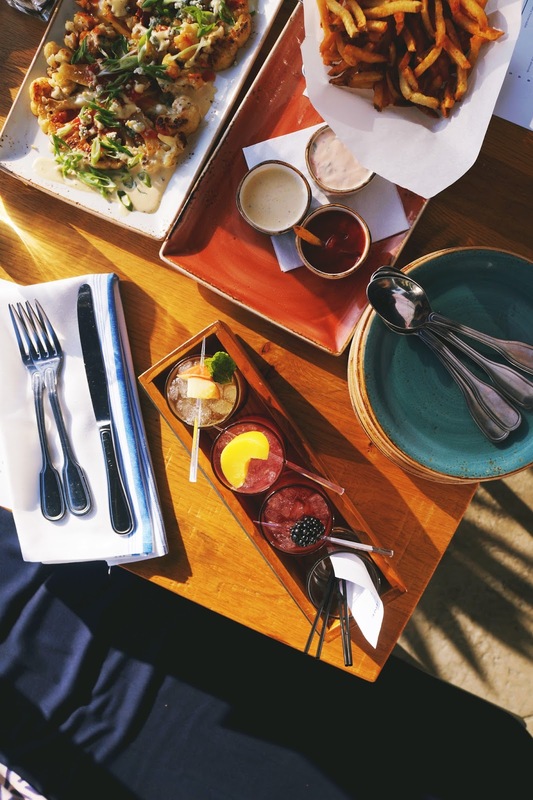 We enjoyed a patio dinner & drinks at Brio Coastal Bar as the sun set. Pure bliss! Or go for Great Maple right next door. Other highly rated options: Ramen Yamadaya, Curry House CoCo Ichibanya, & STACKED. The night is yours. After all, you're within driving distance to many popular Southern California hot spots. Want to stay local? Browse the Torrance events to see what's happening. Watch a movie at AMC. Take an evening walk at Torrance Beach. 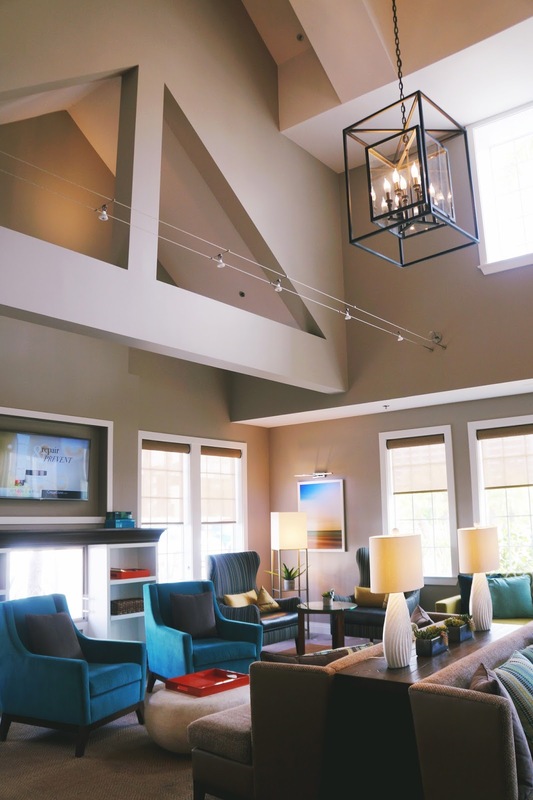 Maybe you're tuckered out & simply want to rest in your hotel room, watching TV in bed. That's cool too! Sleep in, then enjoy some freshly baked goods. 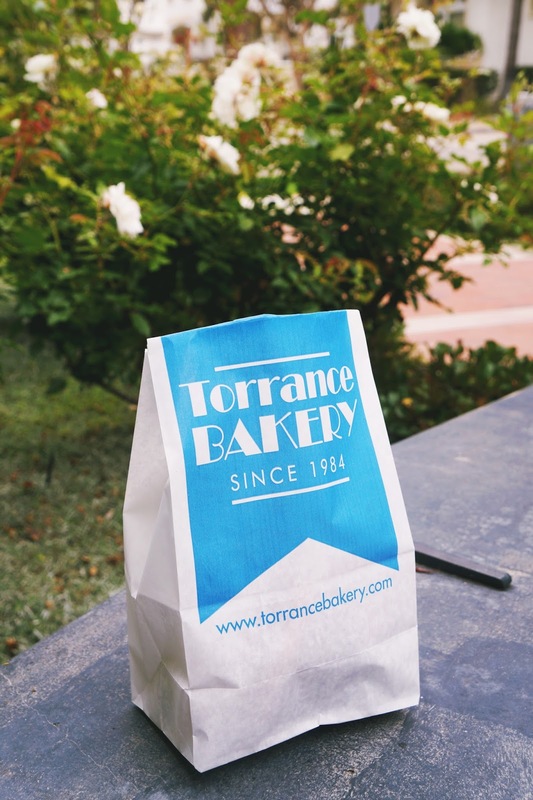 Stop by Torrance Bakery. Prepare to wait in a line & make sure you get a number! 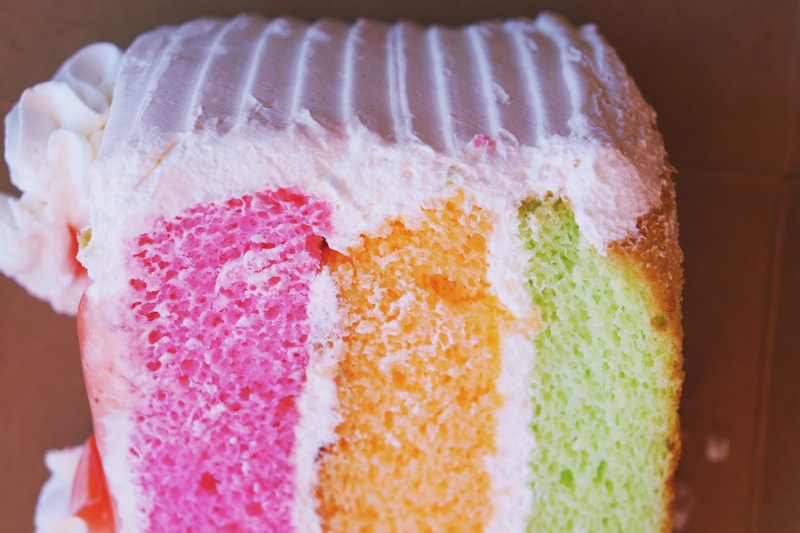 Taste something different & go for the Hawaiian Paradise Three layer cake from King’s Hawaiian Bakery — made of guava, passion, & lime chiffon cake filled with whipped cream & topped with guava, passion & lime fruit glaze. Heavenly. 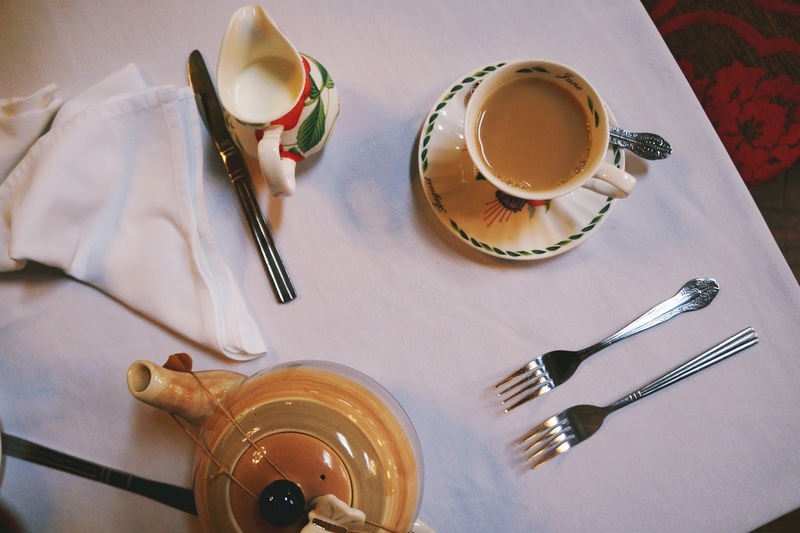 Wash down your sweets with a hot cup of tea at Chado Tea Room. We randomly stumbled upon it & thought it was too cute to pass up. We got a pot of Island of Mauritius, a black tea with a pop of vanilla, but they have a thick booklet of teas to choose from. Got some time to spare before you head out? 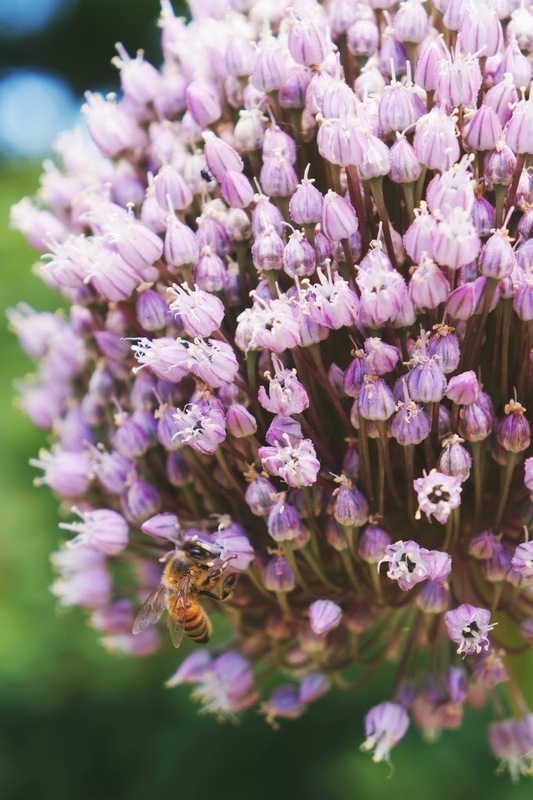 Spend a couple hours visiting the Chen Art Gallery, Western Museum of Flight, Torrance Art Museum, South Coast Botanic Garden, or maybe lurk around to find the film locations in Torrance. Torrance has been featured in movies like American Beauty, Bruce Almighty, & She's All That. 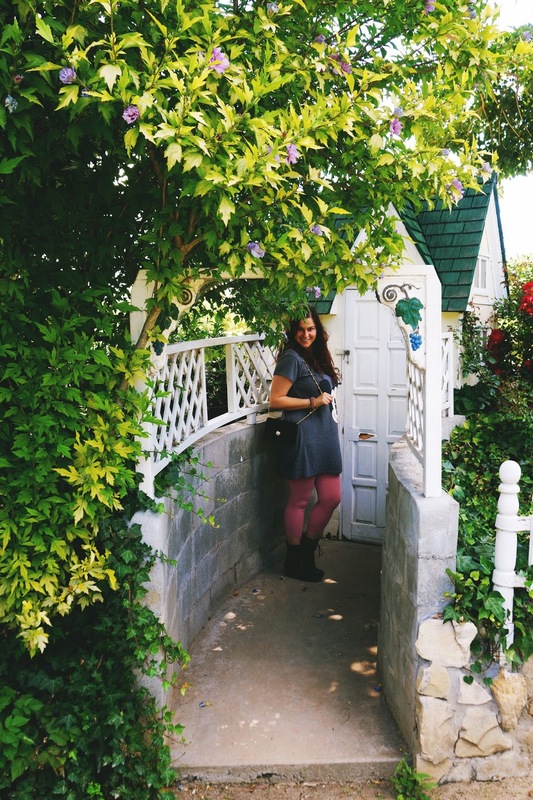 Whether I was munching on fresh pastries, getting lost at the Del Amo Fashion Center, or relishing in the warm temperatures, I truly had a fantastic time discovering Torrance. It has a variety of things to eat, drink, see, & experience. Are you in? Explore Torrance! That California bowl looks AMAZING! And so does that cake... We're also obsessed with tea, so the tea room would be a must. What a cute little town to visit! 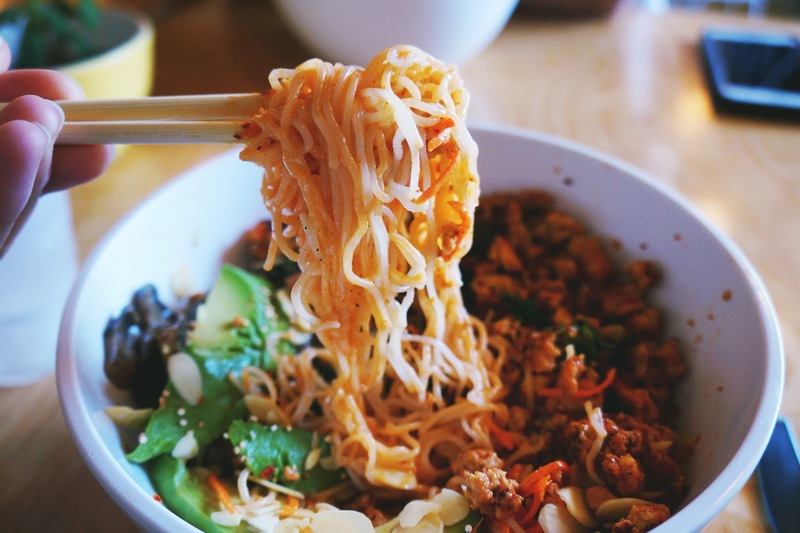 Wow that noodle bowl looks amazing. As does that cake. My two favorite things! I want that bowl! I'd love to visit Torrance someday - just another place to add on my California must list. I love Torrance Bakery! Their chocolate chew cookies are the BEST! I have yet to make my way to Cali, but Torrance Bakery has me wanting to boost it up higher on my priority list. I will travel for food. I agree! This looks like a great little getaway, such cute places! How lovely! I would love to go there sometime, and need to add it to my list! Thanks for the great post! I've never heard of Torrance California before and it's so close to LAX. Sounds like a perfect little retreat! I haven't been to California since I was a little kid, and I want to go on a road trip through the state so badly! I'm definitely adding Torrence to the list of things to see whenever I make that trip happen! THis looks like a beautiful town, such good food too! I never ever heard of it (I live in San Francisco) but next time I am in Socal I will def check it out! How could we miss this? We've been several times in Cali and now we have the perfect excuse to get back for more! 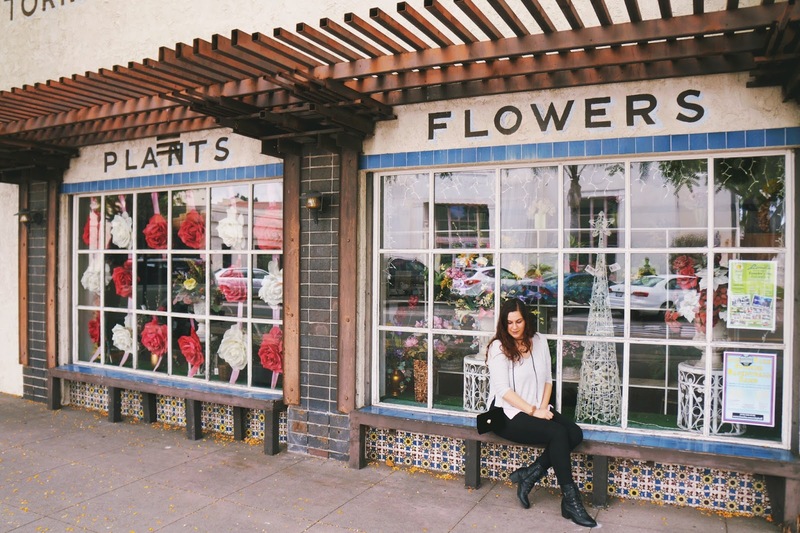 Torrance is a lovely town and your photos helped to add it to our bucket list! Thank you! Torrance looks like it has so much to offer! Thank you for introducing me to a part of California I hadn't previously heard about. I would love to go, and I definitely would spend my afternoon sampling craft beers! 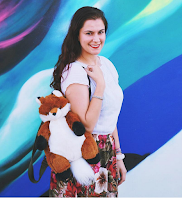 What an awesome round up of things to see, do and eat! I definitely need to visit Torrance, I don't think I'm that far away either! Especially for that Hawaiian cake!